We hope that this collection of former players will bring back some happy memories of watching Norwich City over the years. The list is by no means exhaustive but is being added to all the time so please do check back from time to time. The current list of players can be found a little further down this page and this section is broken down by the first letter of their surname. 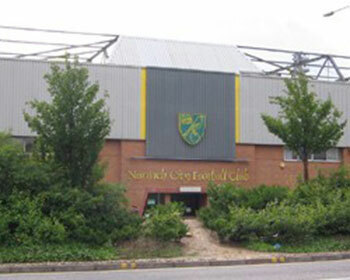 We are keen to include as many Norwich City footballers as possible. If you know what has happened to any former players not listed here, please do let us know - thanks. If you like this site then we would recommend that you have a look at Amazon's latest collection of Norwich City items for sale (often at a discounted price!). Although best known for selling books, they now have expanded their range to include all sorts of goodies - you never know what you might find! How would you like to become a published author? We are keen to expand our range of 'Where Are They Now?' books by creating a separate edition for every club and would love to hear from you if you would like to compile one for your favourite team. You do not have to have any technical knowledge or writing experience (although the ability to put words together would help!) - a genuine interest in the subject and willingness to undertake the research is all that is required. Please do get in touch if you would like to know more. A task like this would not be possible without lots of help. Whether you are a researcher, football fan or a player yourself, we would love to hear from you. If you know what happened to any former Norwich City player(s) and/or if you have any photos that we could use on the site, please either make contact by e-mail. Please do get in touch if you would like to add your site here (completely free of charge!). 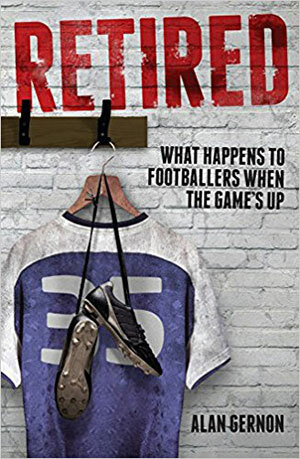 'Where Are They Now' is compiled by enthusiastic football fans and we hope that you enjoy the trip down memory lane. Hopefully, you have realised that this is not an attempt to get rich. However, if you offer a relevant product or service that may interest our readership, we are open to bribery and corruption... well, the odd advert or two to help cover the costs! Please forgive any errors or omissions and do get in touch if you would like to become involved.